The placenta is a life giving organ that forms in a mother's womb when she becomes pregnant. The placenta attaches to the umbilical cord and plays a critical role in fetal growth and development. Placental insufficiency (sometimes called placental dysfunction) is a potentially serious abnormality that can occur during pregnancy when the placenta does not properly form or becomes damaged leaving it unable to deliver enough nutrients and oxygen to the fetus. Chronic placental insufficiency can also result in decreased delivery of calories to the fetus with intratuterine growth delay. The placenta is also involved in the production of certain pregnancy hormones and in protecting the baby from infection. 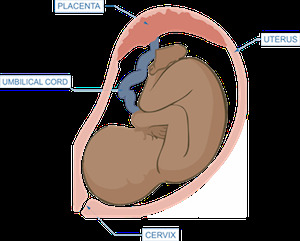 The placenta grows ahead of the fetus and continues growing throughout pregnancy. By the time the baby is born the average placenta weighs in at about 1-2 pounds. In a normal delivery, the placenta comes out shortly after the baby. 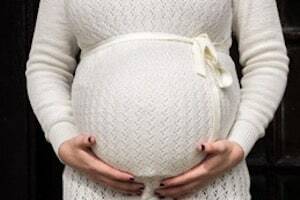 Placental insufficiency may also be caused by mechanical complications such as if the placenta is not properly attached to the uterus or if it suddenly detaches (placental abruption). There typically are no obvious maternal symptoms from placental insufficiency. Most mothers with placental insufficiency do not feel anything. Clues that there is something off tend to be very subtle. For instance, a mother in a second pregnancy may notice that her tummy is not getting quite a large or full as it did with her previous child. Babies suffering from placental insufficiency tend to move around in the womb a lot less also. In addition to these management measures, doctors will usually prescribe a course of steroids. Steroids help to accelerate the final development of the baby's lungs, one of the last things to develop before birth. This is mainly a precautionary measure designed to make sure that the baby will be able to function if early delivery becomes necessary.